Privatization isn’t a long-term answer for API. Oversight and investment are the key. 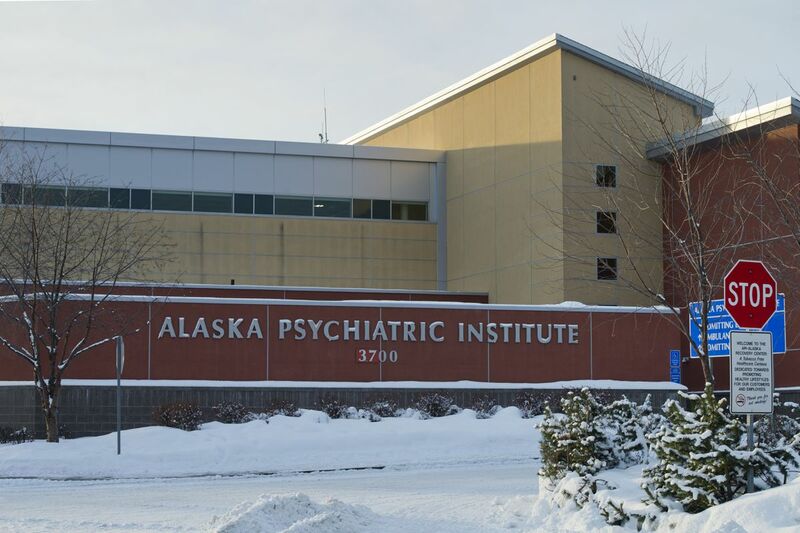 The controversy surrounding the Dunleavy administration’s announcement to bring in a for-profit company from Nashville to run Alaska’s only psychiatric hospital is a reminder that effective governing is hard and complicated. Given the scope of the problems at the Alaska Psychiatric Institute (API), it’s important to scrutinize the details of the governor’s plan. It now appears that the short-term contract with Wellpath Recovery Solutions is the first step by Gov. Mike Dunleavy toward turning API’s critically ill patients over to a company with dubious leadership and history in other states. Alaskans should be concerned. Some observers saw the decision to contract with a private company for management support at API as a strategy worth trying to address a crisis that is dangerous to both patients and staff. We can be cautiously optimistic that a short-term infusion of management assistance may be helpful. However, to truly turn around the situation at API, we will need a significant infusion of Alaska nurses and health care professionals to effectively care for those in our community who suffer from acute psychiatric illnesses. We will be asking tough questions to make sure we protect the best interests of the state and the patients at API. No one should assume that support for short-term management assistance means unqualified support for privatization of all services at API by outside corporations. Any suggestion to privatize services at API is suspect, because a 2017 study established that full privatization will be more expensive and may lead to worse patient outcomes. Evidence in recent reports of Wellpath’s record underscores this concern. In touting the success of Wellpath’s work at Bridgewater Hospital in Massachusetts, it’s important to note that the changeover to private management required a funding increase of nearly 40 percent. The Department of Health and Social Services appears to be overlooking the fact that in Washington, Colorado, North Carolina and Georgia, Wellpath personnel have been blamed for inmate deaths in prisons the company operated. This company has a record of costing states more money and creating lethal situations -- neither of which we can afford in Alaska. The situation at API has been in the making for decades. It started with efforts by previous administrations to reduce oversight by its public governance board. The governance board, comprised of community members who served to provide oversight, was changed into an internal board of state personnel. This change eliminated any transparency about how API was functioning and allowed performance metrics to plummet out of the public eye. As a result, patient and staff safety only got worse over the years. At a hearing of the House Health and Social Services Committee on April 10, 2018, we learned API was woefully understaffed to safely handle the number of patients suffering an acute mental health crisis. Even a new car won’t operate without fuel — a hospital’s “fuel” is a corps of well-trained and fairly paid health care professionals. Alaskans going through a mental health crisis deserve the same kind of rigorous care as someone going through a physical health crisis. Just as we would not tolerate inadequate staffing and care for a heart attack or trauma patient, we should not accept substandard care for patients at API. The solution to the problems at API is not privatization. It is also not acceptable to close our eyes and wait for things to get better. Short-term, temporary leadership changes may help stabilize things at API and reduce the crisis-like atmosphere. But the Nashville-based contractor is just a temporary band-aid and not a permanent solution. API needs about 118 new staff to provide effective care to our friends and loved ones. We need a solution to ensure that API is fully funded and fully staffed. We also need to bring back transparent governance to ensure that Alaskans who walk through API’s doors are safe. We believe that API needs a public governance board once again to provide oversight and ensure we never let the situation get this bad again. Perhaps the best thing to come out of this issue in recent days is the public discussion. Alaskans are waking up to the crisis. Our community dialogue in the media, around water coolers and across social media about how best to improve things at API is a good thing. As we continue looking at the details of this challenge, let’s not forget that everyone at API is someone’s loved one. People who experience dementia, schizophrenia and other serious mental health issues are Alaskans who deserve a safe, supportive environment in which to heal. Let’s dedicate the time, energy, and resources to ensure that our loved ones get the care they need. Sen. Ivy Spohnholz and Rep. Matt Claman, are Democratic members of the Alaska Legislature. They live in Anchorage. Ivy Spohnhoz is an Alaska foster parent.